This article was published originally in Manitoba History by the Manitoba Historical Society on the above date. We make it available here as a free, public service. In 1874 the Dominion Land Survey mapped out the meridians and baselines of the territories south of the boundaries of the postage stamp province of Manitoba. Work began along the anticipated route of the Canadian Pacific Railway. The surveyors were very impressed with the Turtle Mountain region, noting that it would become one of the chief points of settlement in the coming season. The news of fertile land, readily available water and wood, plus the coming of the railroad convinced potential settlers to set their goal for the region. In 1885 the CPR determined the site of the Town of Boissevain. By 1886 there was a blacksmith shop, a post office and two grain warehouses. The new settlement was named in honour of a Dutch financier, Adolf Boissevain, who introduced CPR shares for sale in Europe. Overnight, pioneer days came to an end as people worked to make life more comfortable. Schools and churches were established and fine homes were built from local materials. By looking at some of these structures we can trace the history of the town and touch upon the businesses and people that went into the fabric of the community. Many fine buildings were constructed of the local granite found in farmers’ fields. 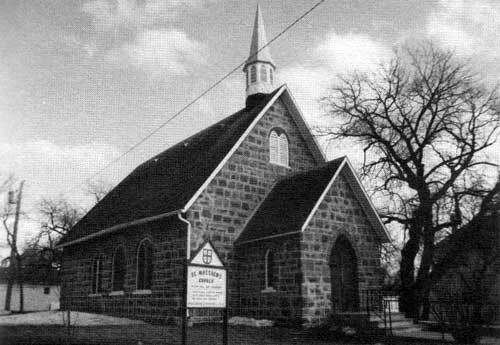 One of the best examples of this is St. Matthew’s Anglican Church which opened in 1890. The land was donated by Caleb Ryan and the parishioners undertook to provide the stone which they drew to town by oxen. Over the years the church has been enlarged and repaired. A memorial window was placed in the chancel in tribute to the war dead of 1914-18. The church contains a number of significant furnishings and appointments donated by the congregation and the many stained glass windows create a reverent atmosphere for worship. St. Matthew’s Anglican Church, built in 1889. The most unique building of fieldstone construction is the Henderson house at 542 Broadway. This attractive home is reported to have been built from one giant stone. James MacLachlan, the stone mason who built the house, blasted, drilled and cut the stone into a useable size and hauled it one and one-half miles to town in 29 wagon loads. Although it has been renovated and modernized the house still maintains its turn of the century charm. In 1880 the survey of the Rural Municipality of Morton was completed. The surveyors made note of the discovery of a fine sandstone in the ravines south of the site of Boissevain. This sandstone was used in the construction of some of the most prominent buildings in the new town. Perhaps the most imposing of these is St. Paul’s United Church at the corner of Johnson and South Railway. In 1893 the congregation of the then Methodist church decided to replace their modest frame building with a grand structure of local sandstone. The church boasted seating for 375 worshippers, carpeted aisles, leaded windows, tinted glass and two furnaces to fight the winter chill. The interior plaster work was done by Sandy Bissett, who is believed to have plastered the parliament buildings in Ottawa. In more recent times the building as has been extended and modernized, always in keeping with its original character. The sandstone from the Musgrove ravine has been compared to the brownstone of the east in quality and beauty. 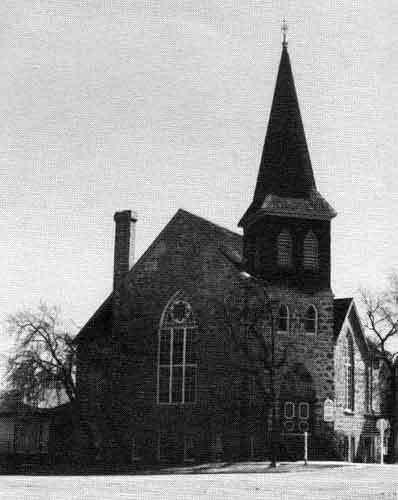 Besides the United Church it was used in the construction of commercial buildings such as the Crowhurst-Baine-Welsh block on the main street. Although extensive remodelling has been done to the store fronts, a rear view shows the fine detail of the original sandstone construction. One of the medical pioneers of town was Nurse Halliday, who has the distinction of being the first woman from the area to serve overseas in the First World War. 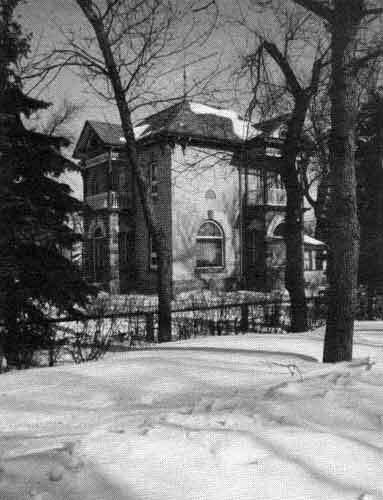 Following the war she operated a “nursing home” for expectant mothers from the stately brick home of her father, located at the corner of Broadway and Struthers. The house, built on a sandstone foundation, has been beautifully refurbished with the original woodwork and stained glass windows being retained. The house bears a stone commemorating Queen Victoria’s Jubilee. Nurse Halliday’s Nursing Home (now a private residence). 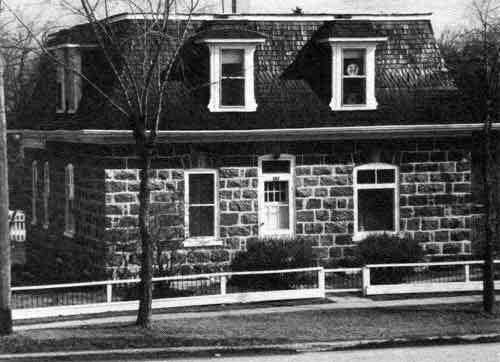 In 1913 Dr. F. V. Bird arrived in Boissevain to begin a practise which was to last sixty-two years. During that time Dr. Bird delivered 2200 babies while serving the various other medical needs of the town and surrounding community and is remembered as a compassionate, dedicated doctor. As well, Dr. Bird served as mayor from 1929-1939. His beautiful home on the corner of Stephen Street and Struthers served as home, office and hospital. It has recently been purchased by the town’s newest doctor. Dr. Bird’s home (recently purchased by Dr. Whittle). In 1948, as a tribute to those who gave their lives in the Second World War, the first hospital was constructed. It was located at the site of the present hospital, equipped with 13 beds and two cribs. Nurse Halliday was the first matron. The old hospital was moved in 1977 and became a community centre and drop-in located on South Railway. Another interesting home that fits into the architectural history of the town is located at 467 Struthers. It was built of cement blocks manufactured locally by George C. Currie. Originally from Ontario, Mr. Currie arrived in Boissevain in 1882 to homestead. In 1904 he purchased a cement block making machine and took part in the building boom of the next seven years. In order to persuade potential customers of the attractiveness of these blocks, Currie built this home for his family. It features a verandah and pillars that he fashioned himself. 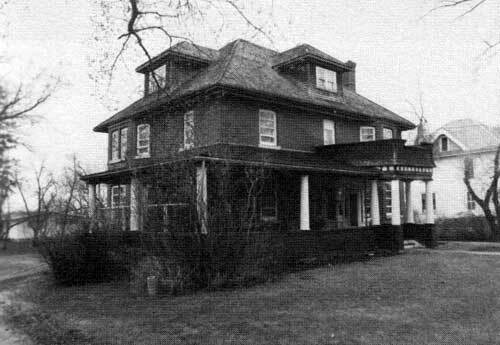 At 721 Mill Road stands a grand red brick house now owned by Ed Dow. It was purchased in 1915 by his father George Dow when he reactivated the Turtle Mountain Milling Co. for the war effort. The mill was constructed in 1889 by William Preston and W. C. McKay and was an important part of local history. The three storey building was constructed on a switch to the CPR for a cost of $5000. The mill ground 125 barrels of flour a day and provided a local market for district farmers. In 1904 the mill burned down, but local farmers and business men rallied round and quickly reopened it in 1905. However, with the advent of three new rail lines, farmers had access to larger markets and sometime after 1911 the mill closed again. It must have operated during and after the war of 1914-18, but burned to the ground again in 1925. It was never rebuilt and the area lost an important industry. 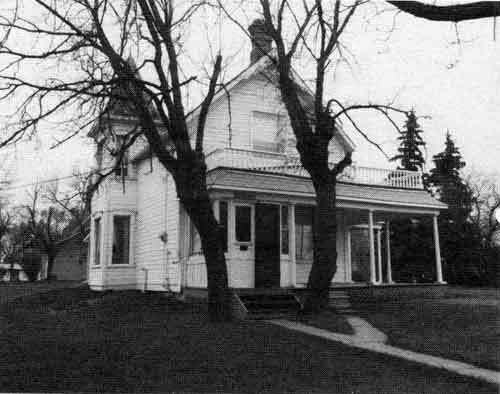 721 Mill Road, Boissevain, constructed in 1909. At 637 Cook Street can be found the family home of Errick F. Willis. Willis had a long and distinguished political career. He served as Member of Parliament from 1930-35. In 1936 he became leader of the Manitoba Conservative Party and served as MLA until 1960, at which time he was appointed Lieutenant Governor, where he served until 1965. The family home is well maintained and visitors should note the decorative tower. One of the most interesting aspects of Boissevain’s history is its relationship to the railway. The coming of the CPR line in 1885 is the reason for the existence of the town. However, between the years 1900 and 1913 no less than three other rail lines were introduced to the area. Of these the most important was the Great Northern which connected Brandon with points south of the American border. Farmers could now ship their grain to U.S. markets and people in the area had a rail link with Brandon. Passengers could travel comfortably to the larger centre for $1.95. Special trains were added during the Brandon Fair. During the Depression of the 1930s the railway began a steady decline. The last passenger train on the Great Northern was on June 17, 1936. Most of the tracks were lifted and ironically the station became the district headquarters for the Department of Highways. 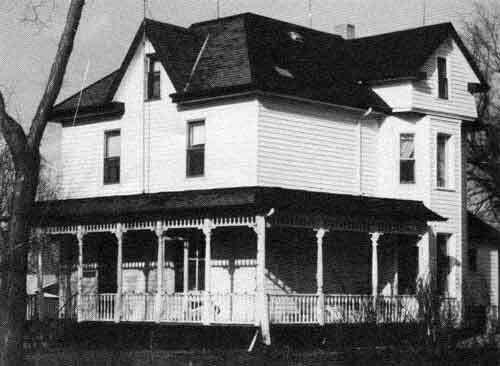 The station and the station house can still be viewed: the station on Mill Road and the house located just west of the United Grain Growers elevator. Construction has continued in the town over the years. Many buildings use the laminated rafters of the local manufacturers, Dring Ltd., now Western Archrib. Some of these buildings, include the Agricultural Arena and Westview Lodge. Throughout the town beautiful new homes are still being built while older homes and businesses have been renewed. History within the town is still being made while the past is remembered and preserved.